All the Classic Sewing Patterns You Will Ever Need! This sewing pattern will introduce you to the Princess Line. 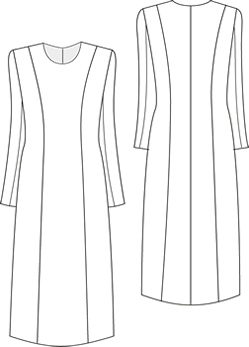 A semi-fitted coat-dress can be worn on its own, over a dress, over a jumper and knitted tights, over jeans. Worn buttoned up, open or belted. 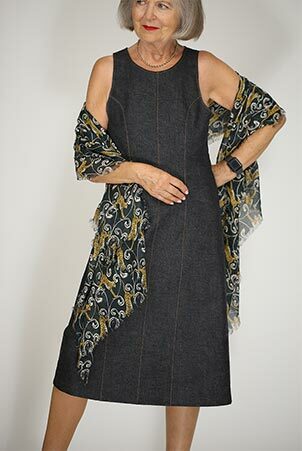 Team this garment with many items in your wardrobe for smart wear or casual days, you will never tire of making up this style.Make it up in woven wool, wool crepe, suitings, denim, corduroy, leather, silks and more. Welt pocket can be tricky for the beginner so the side panel pocket featured is a great solution.This pattern will also introduce you to the centre back vent, an essential lesson useful for tailored jackets and pencil skirts. I hope you enjoy making up this pattern again and again. One of the very best coat designs. Wear with just about everything. Making this up is a great way to learn the principle of sewing a roll collar. This pattern is perfect for day or evening wear. 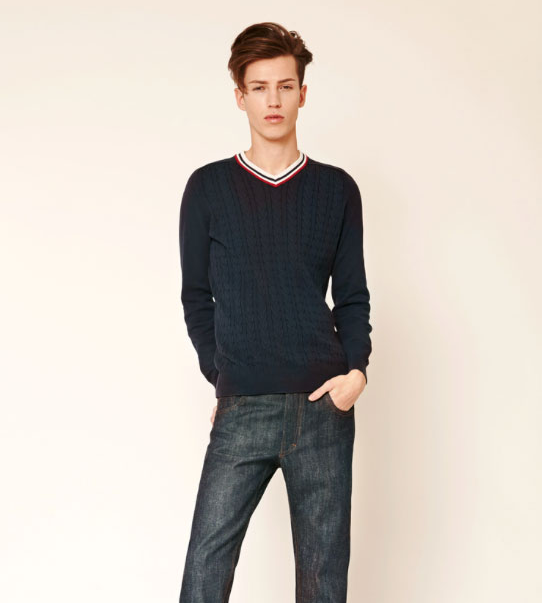 Wear it with a tailored suit or beneath a smart cardigan. Wondeful with an evening trouser suit or just a velvet skirt. A great shirt worn with with jeans too. The man's cut shirt. I have made this dozens of times and never tire of the shape. This is probably about the simplest form of garment you can imagine for your wardrobe. However it is the most useful and you will never tire of making it. The Jeans Sewing Pattern is easier to sew than you think. It is probably takes less time to sew a pair than it does to watch my video! I go into very great detail. By popular demand from my male subscribers, here is a jeans sewing pattern just for them. Yes, there are a surprising number of men making their own clothes. Ladies you can make these jeans for the men in your life too. 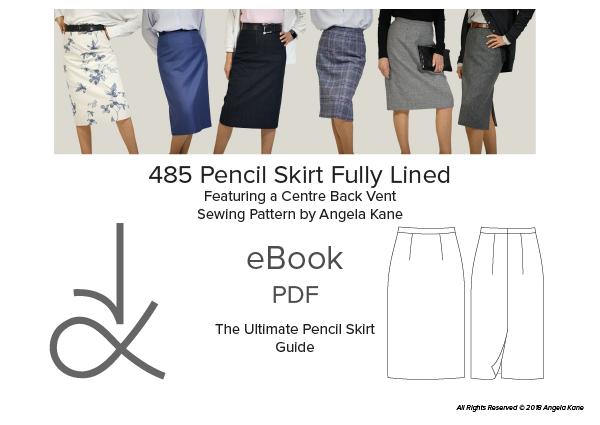 A classic Pencil Skirt Sewing Pattern is a must sew for anyone wanting a versatile, wearable wardrobe that is equipped for every occasion. This pattern includes seam allowance. Make it in two way stretch lycra. There is such a variety of swimming costume fabric in the shops to choose from. PDF Instructions giving Fabric Requirements, Sewing Techniques and Construction Method - Video coming soon! Just a shift. Shown here in navy linen with white saddle stitching. The very useful Raglan Sleeve Sweatshirt Sewing Pattern. You can't have too many in your wardrobe. Of course it goes really well with the jeans. Trousers for smarter occasions perhaps. 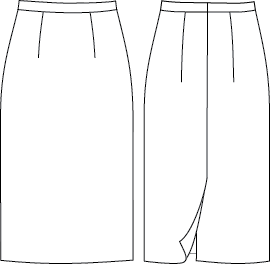 Front pleats and slant pockets. An invisible zip in the back gives you a faultless silhouette. A silk shirt bloused will take you to any occasion. A classic jersey T-shirt shape. So many uses. Wear with jeans, the pencil skirt, under the shift and the pinafore dress, under the waistcoat and tucked into the front pleated trousers. Just a simple t-shirt shape. 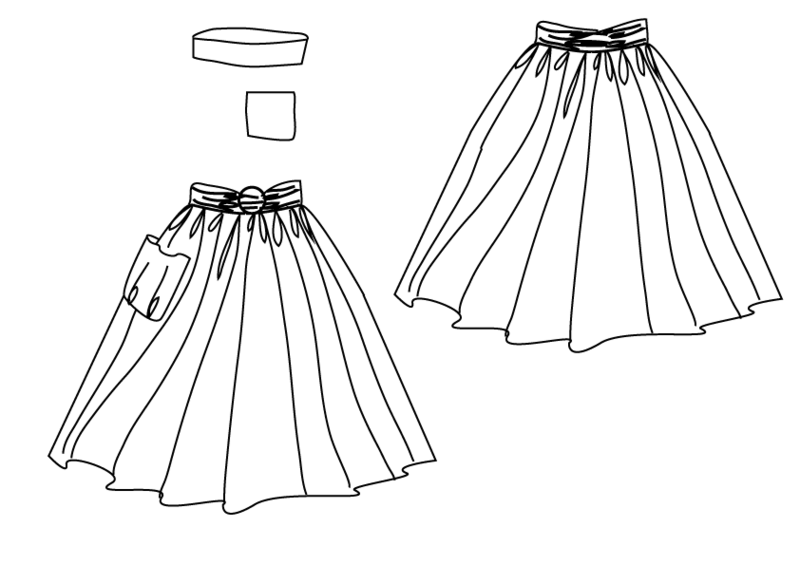 Shown here cut with more of a boat-neck. Bound at the neckline to match the contrast dot patterned sleeves. Jersey shift with a stand collar. Very cool, sporty but elegant. This soft tailored jacket is the easiest of jackets to sew. Collarless and with easy in-seam pockets. A little bit of saddle stitching gives it a certain sophistication. Another coat. This one is quite different though. 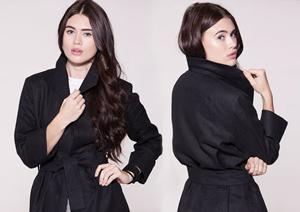 Roomy but elegant, this smock type coat will suit any figure type. No fitting required! Wear it belted or flowing. 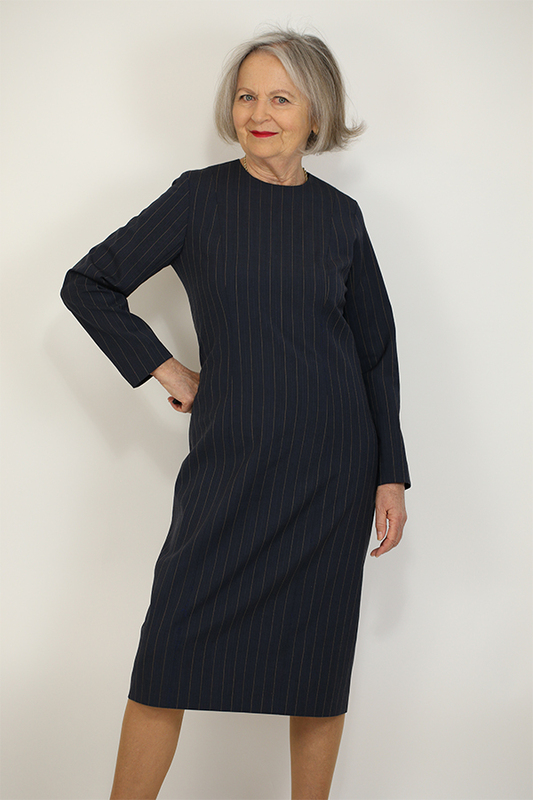 Very easy polo neck dress with a high neck. Nicely shaped for easy dressing. This pattern comes in just small/medium/large. Leggings for everyday dressing have been around for a few years now. These are so easy to make. Great too of course for your exercise classes. Another very popular pattern. Quite a nostalgic shape reminding me of long summers and school holidays! Of course, a really practical and comfortable solution for exercise. So much nicer than those standard black leggings and tops people seem to wear at the gym. This pattern is very popular for wearing to ballet class. Also great under a cotton shift. Making up the pinafore dress is a sewing lesson in just about everything apart from sewing sleeves. 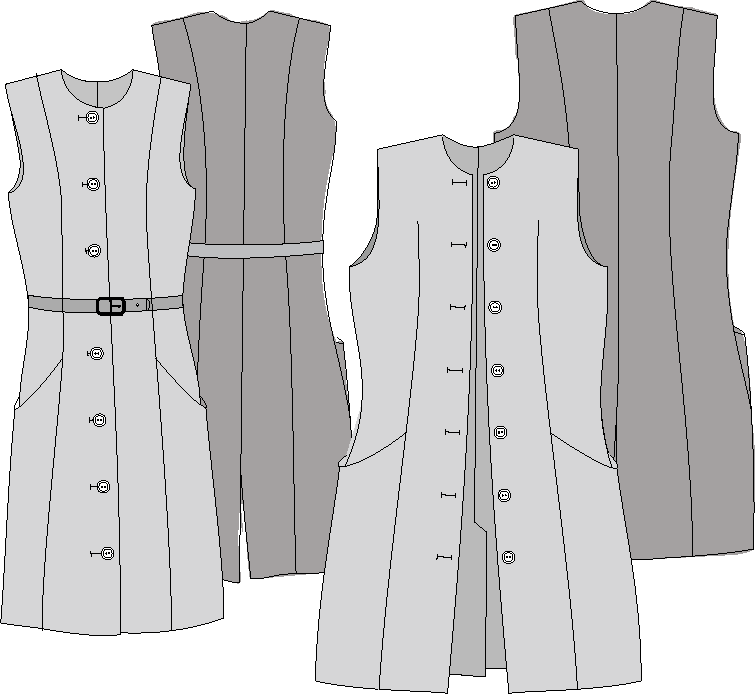 Learn about darts, zips, patch pockets, embroidery, topstitching. 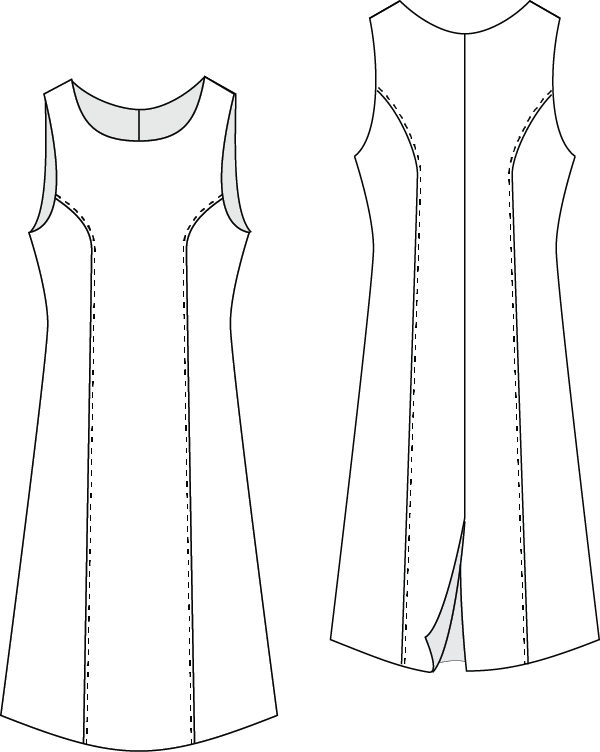 See my very first tutorial Make a Dress and then again, watch the Add a Lining version. A smart little waistcoat to wear with anything. A very boxy, very loose fitting jersey top. You can wear this over other tops. Just plain cut trousers. No waistband or fly zip to worry about. Use petersham tape at the waist and an easy invisible zip at the side or back seam. Add pockets if you like. A pattern combination to get you started on combining patterns and shapes to be your own designer. 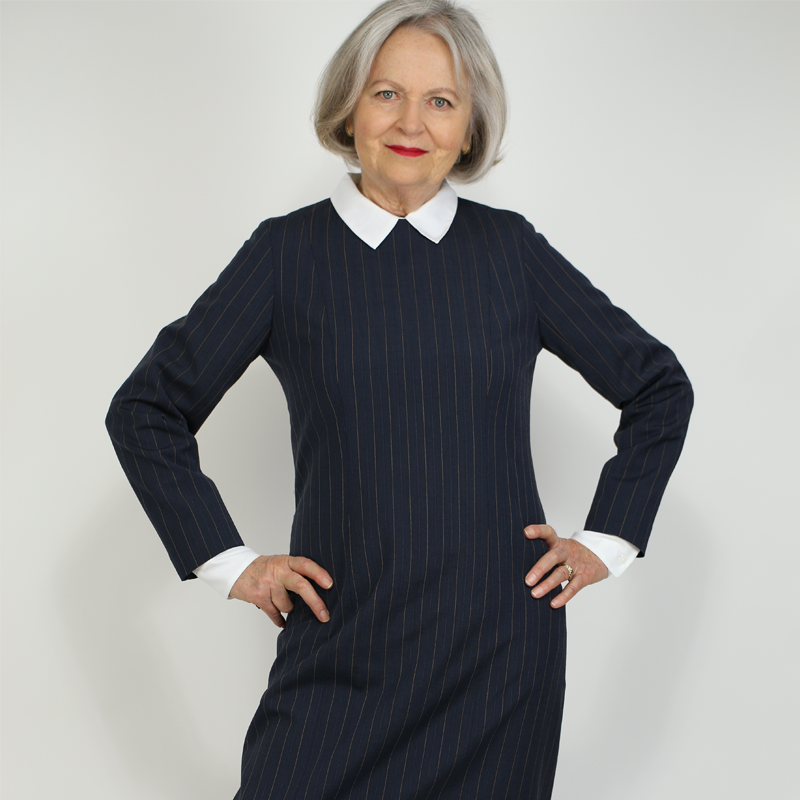 Here I have combined a gathered skirt, bold breast pocket and high stand collar with the jersey shift shape, pattern 722. Try it with lurex jersey and lace skirt for evenings.